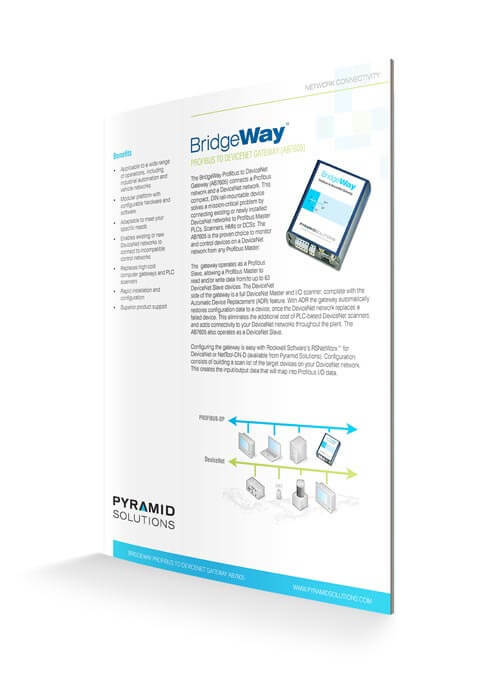 The BridgeWay™ PROFIBUS to J1939 Gateway (AB7614) enables a PROFIBUS-DP Master to read and write J1939 network data. 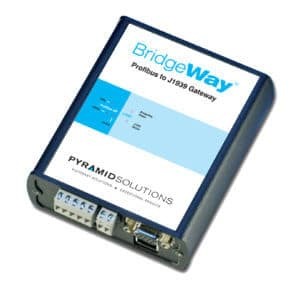 The AB7614 operates simultaneously as a PROFIBUS-DP Slave node on a PROFIBUS network, and a CAN node on a J1939 network. The module exchanges data from either network, based on a user-defined configuration. 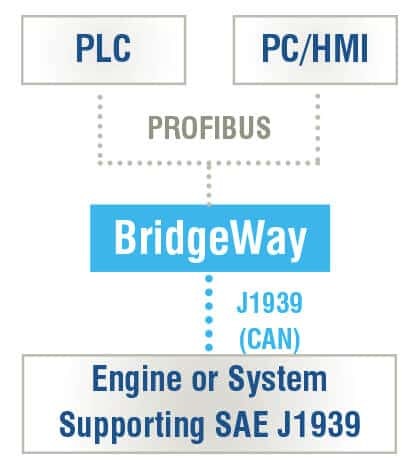 Our free Windows-based configuration tool allows users to map J1939 parameter (PGN) data into the module’s input and output tables, accessible by the PROFIBUS Master as I/O data over the PROFIBUS-DP network. Used to view the PGN messages on a J1939 (CAN) Network (necessary for integrating or troubleshooting an installation).